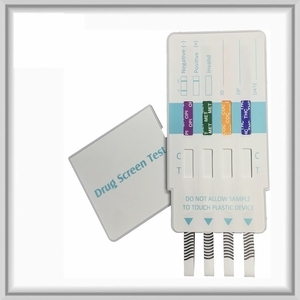 The 4-Panel/Dip Device is the quick and affordable instant on-site drug screening solution. This product is ideal for pre-employment, random, reasonable cause, corrections, hospital, and clinical testing. Remove the test device from the foil pouch. Remove the cap from the test device. Label the device with patient or control identifications. Immerse the absorbent tip into the urine sample for 5 seconds.� Urine sample should not touch the plastic device. Note: There is no meaning attributed to line intensity or width.